On June 15, 1964 Courteney Cox was born. She is best known for her work on “Friends,” and on the big screen in the “Scream” series. 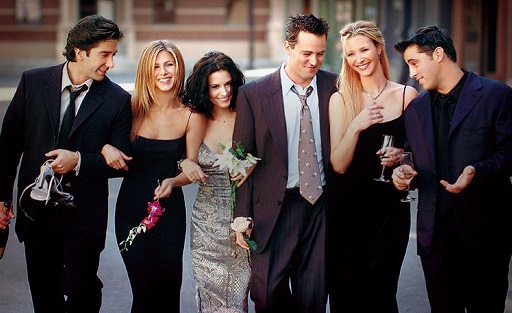 On “Friends,” Cox played Monica Gellar for 10 seasons. Monica Gellar was known for her obsessive-compulsive personality and extreme competitiveness. Both traits are often seen in her always having a meltdown when things are not in order in her eyes, leading her to do things out of the ordinary (e.g. the time she admitted to cleaning the cars parked on the street when they were dirty), and her constant desire to win (as seen in the infamous Thanksgiving episode involving “The Gellar Cup). Besides “Friends,” Cox has been part of one of the most successful horror series of all time, “Scream.” Throughout the film series, Cox has portrayed ambitious (and at time heartless) reporter Gale Weathers, who would do anything to get the top story, while at times finding herself mixed up in all the chaos and being chased by the killer, Ghostface, himself. As of 2014, she has portrayed Gale Weathers in all four “Scream” movies. It was during her time working on the “Scream” series that she met then husband David Arquette, with who she married (now divorced) and had a daughter with. Currently, Cox can been seen on the comedy “Cougar Town,” which is will come back in 2014 for its sixth season.